When a war begins between the biggies, it’s tough to uphold one over the other. It needs your best analytical power to decide between two giant brands for the same kind of product. Ninja and Oster are two famous brands in kitchen appliance industry. Both of them manufacture excellent quality blenders. Users often stay hesitant and try to judge which one they should buy. For deep analysis, we have taken two bestselling models of blender from both brands. In this Ninja vs Oster debate, We will inspect few parameters to assist you choosing between them. Ninja vs Oster – which one is better? We strongly believe that a product can never be perfect from all aspects. There must be some uniqueness, advantages, and limitations in it. Before buying, a user should be aware of if it’s suitable or not for him. Here, we’ve picked Ninja Professional BL610 and Oster Pro 1200 Plus to analyze in Ninja vs Oster debate. Both of these models are bestselling and have high positive feedback from users. Ninja Professional BL610 comes with a super powerful 1000 watts motor that does your job just in few seconds. This 1000 watts motor provides high power to the blades. In all format of blending like crush ice and make delicious smoothies. You would like Oster Pro 1200 plus for its 1200 watts impressive motor power. This 1200 watts compact machine is able to make perfect smoothies, crush ice and other frozen fruits. Though it provides 900 watts power to the blades during crushing ice. Ninja Professional BL610 comes with a three-tier sharp stainless-steel blade. These blades work like a storm & slice whatever you want. Moreover, it is easy to assemble/discharge and clean. This feature makes Ninja Professional BL610 a unique blending machine. Oster Pro 1200 plus has 4 stainless-steel extra-large blades with dual direction technology. This blade reaches 3.5″ and that is unique. For full cleaning, you can remove and hand wash at any time. Our Ninja vs Oster analysis shows, there’s a massive disparity of blending speed variation between these two models. Ninja Professional BL610 has three different blending speeds: Low, Medium and High with a single pulse function. In this smart kitchen appliance age, this is a quite limited feature. So, you have to guess the right speed for the right ingredients like old days. As opposed to, Oster Pro 1200 plus has seven different speeds including three pre-programmed setting. This three is Green/ Frozen Smoothies, Food Chop/ Salsa, and Milkshakes. This will definitely take your guesswork out and gives you versatile blending functions. However, both models are amazing for kitchen use. 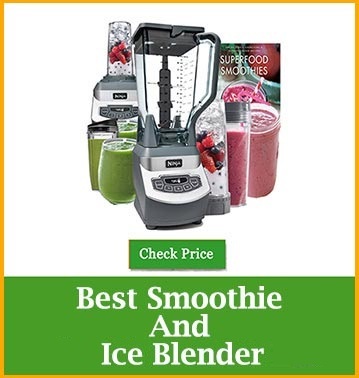 These machines are able to make good quality smoothies, shakes, salsa, sauces and more. For crushing ice to snow, Ninja has taken less time and performed better. Oster has an extra-large blade and uses dual direction technology for smooth blending. On the other side, Ninja has a unique designed blade and uses total crushing technology for powerful blending. Besides, Ninja has included a special lid for users’ safety. Though Oster provides versatility, Ninja will handle heavy duty in the kitchen. With 1000 watts of motor power and super sharp blades, Ninja Professional BL610 makes perfect smoothies. This amazing machine completely smashes any ingredients you place in it. In the speed-up setting, there has a button named as “High” pre-programmed setting for smoothie and ice crushing. This blending machine has super sharp 6 stainless-steel blades. It specially designed for crushing ice and making quality smoothies. Oster pro 1200 plus has a pre-programmed setting for Smoothies. This setting is named as Green/Frozen Smoothies. with its 1200 watts of motor power, it makes your drink so smooth and also able to handle hot liquids. With its extra-large 3.5″ range and dual direction technology, it crushes ice so fast. It generates 900 watts power during ice crushing and spins over 19000 RPM which is able to prepare snow cones. Ninja Professional BL610 comes with an XL 72 ounce (2.12 L) jar which is enough for a family. There is no single serve smoothie cup with this model. But you can buy 24-ounce extra smoothie cups. The jar is made using BPA free, high-quality food grade plastic, which is commonly used by manufacturers. It’s capable to handle any kind of heavy blending, like ice crushing without being a leak. Ninja declared that this jar isn’t able to contain and blend any hot liquids like soup. Oster Pro 1200 Plus comes with a 6 cup (1.41 L) jar and a 24-ounce smoothie cup for single serve. The material used in making this jar is Boroclass glass. So, it doesn’t preserve food odor and stays shiny for a lifetime. This jar is thermal shock tested, which can contain and blend hot liquids like soup and coffee with no harm. Oster claimed that the glass jar is totally able to handle heavy blending like ice crushing, and it won’t be crack. Oster Pro 1200 Plus and Ninja Professional BL610 are versatile, powerful and still solid blenders. 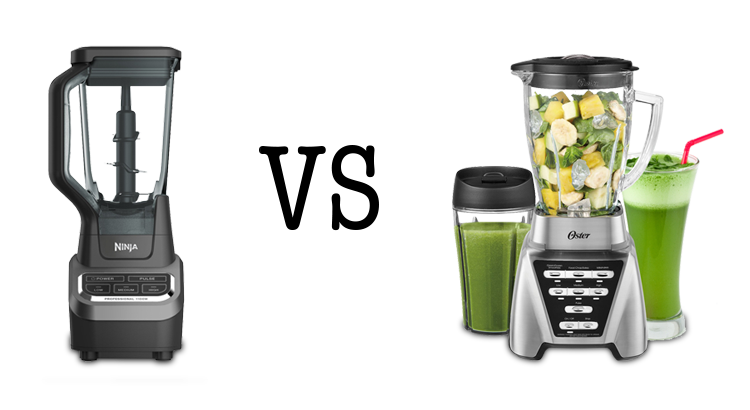 From the above Ninja vs Oster comparison, it is clear that both blenders are exceptional in all aspects. Oster has some features higher than the Ninja and Ninja is as same as Oster. Oster is able to make smoothies, crushing ice and also handle even hot liquids. But Ninja is unable to handle hot liquids. On the other hand, for ice crushing Oster provides 900 watts power but Ninja generates 1000 watts superpower. Ninja has 6 sharp blades specially designed for ice crushing and making perfect smoothies. Moreover, both blenders have outstanding performance and cost under $100. Though Oster Pro 1200 Plus is an amazing featured blending machine, Ninja professional BL610 is the best selling product. 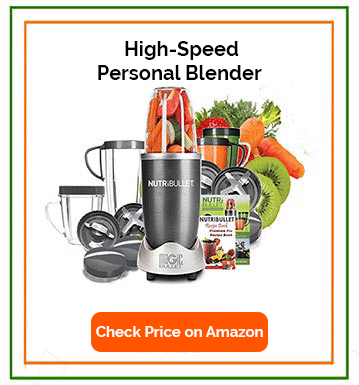 Moreover, you can also compare ninja blender to nutribullet for a professional touch in your kitchen.